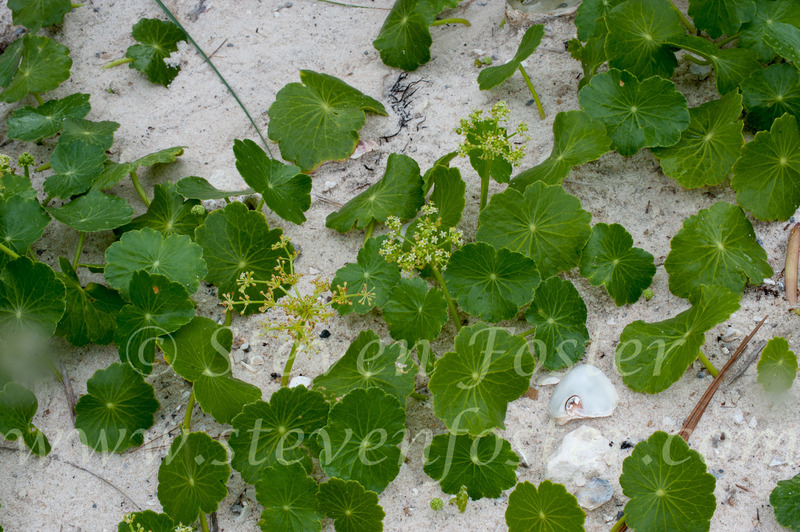 Photos of Coastal Water-Pennywort, Dune Water-Pennywort, Large-leaf Pennywort, Hydrocotyle bonariensis. 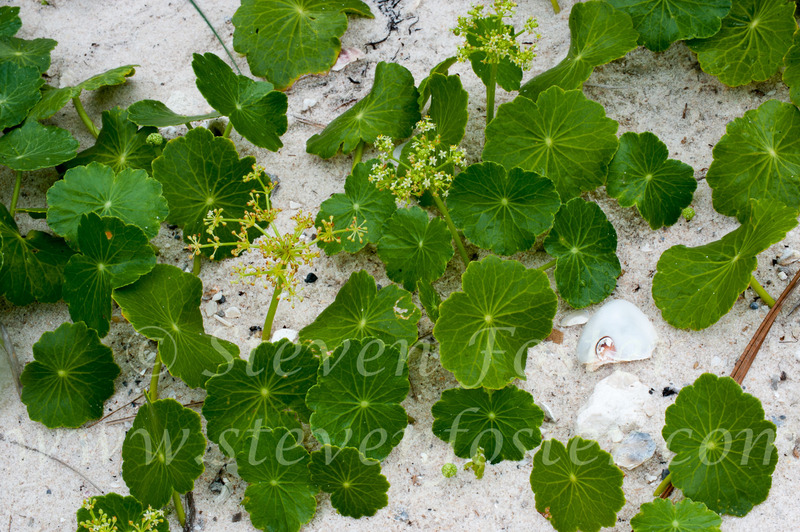 Coastal Water-Pennywort, Dune Water-Pennywort, Large-leaf Pennywort, Hydrocotyle bonariensis is found on beaches in the Southeastern US. 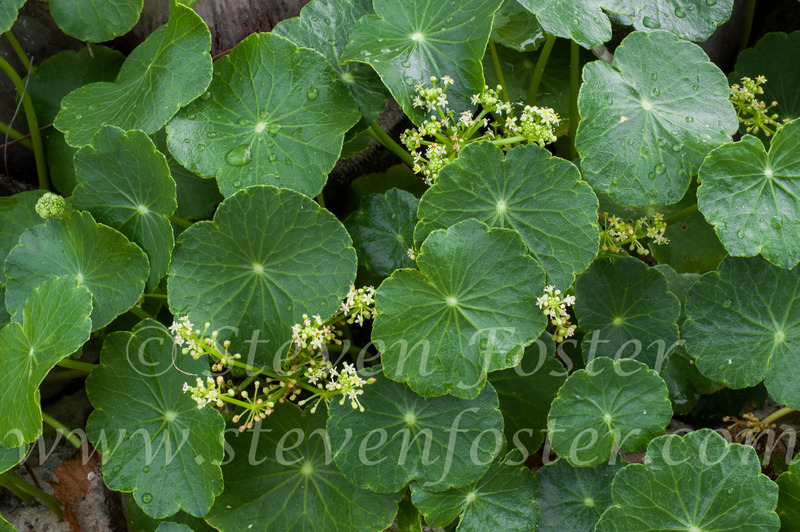 Now placed in the Araliacaeae, (ginseng family) rather than the Apiaceae (parsely family). 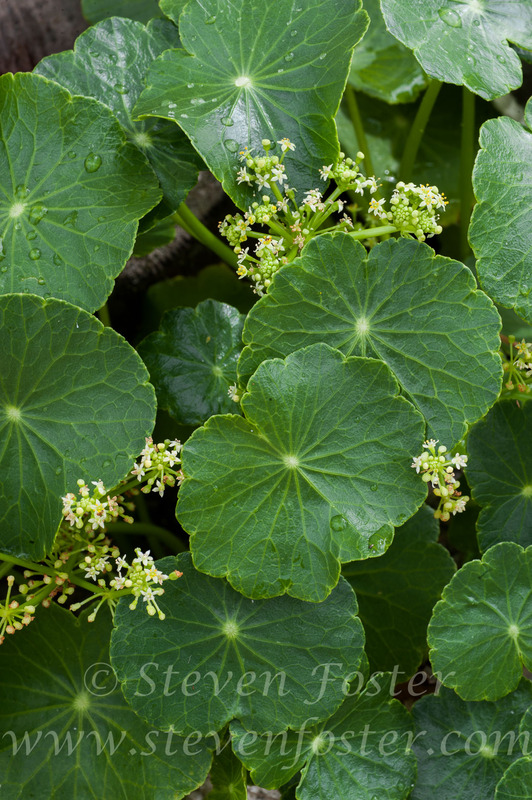 In his 1854 work Systema de materia medica vegetal brasileira, Karl Friedrich Philipp von Martius (1794-1868) suggests that the plant can be used as a substitute for parsely as a diuretic and aperitive to remove obstructions in the liver, though is emetic in larger doses. 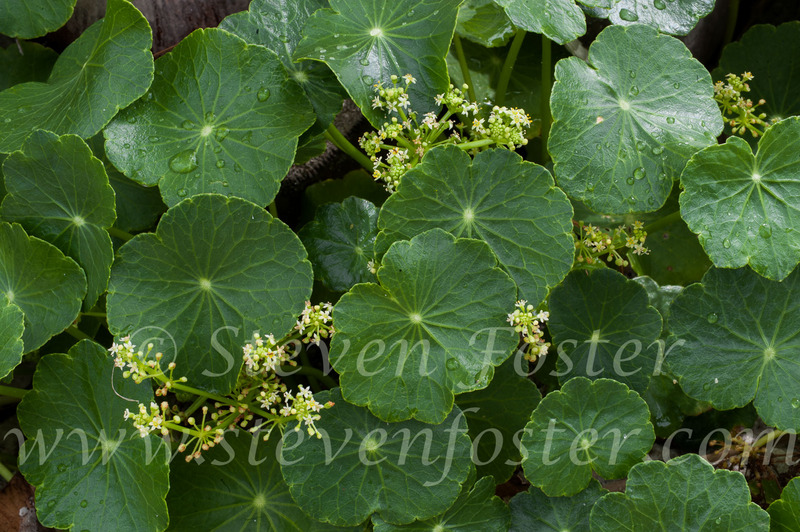 He considered the fresh squeezed plant juice to be a refrigerant.